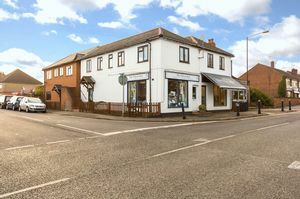 Robinson Estate Agents have been successfully selling, letting and managing property in the Maidenhead area since 2004. We offer a bespoke and personal service to provide our clients with the best possible advice on any aspect of their property. Since 2004 we’ve built an unrivalled reputation for our professionalism and straightforward advice that has no frills, no fuss and no jargon. Our service is ‘hands on’. We’ll help you overcome any problems, will give you honest opinions and will be proactive on your behalf. Crucially, one director will serve you throughout and you can contact them on their mobile phone at any time. Please get in touch to find out how we can help you. For SALES call us on: 01628 637600. For LETTINGS call us on: 01628 634466. Or simply register your requirements online and we’ll get back to you. And rest assured, when we call we won’t try and sell you any extra services like a mortgage, insurance or conveyancing. Because our focus is only on selling or letting your home. A spacious one bedroom first floor flat with allocated parking. High quality finish. Long lease (101 years). No onward chain. Draft details. "After several bad experiences with estate agents in the past, we were rather apprehensive about using one when we needed to rent out our house. We even considered trying to handle the entire business ourselves, despite having no prior experience, rather than having to deal with a dreaded estate agent! However, fortunately for us, a friend recommended Eddie Robinson, and what a relief to finally find an agent with integrity and competence. In fact, by the time we had completed the search for tenants, we felt so confident in him and his agency that we decided to have them manage the tenancy for us too. It was a massive weight off our shoulders and the entire process has been stress-free and even enjoyable – who would have thought that was possible! We have subsequently recommended Eddie to numerous other people and he is now our “go-to man”; we would never consider using anybody else." "Both Helen and Eddie are a pleasure to work and are proactive in their approach of finding and managing tenants. Helen’s regular reports on the condition of my property are clear and extremely helpful"
"Dealing with Eddie from the start was so refreshing from other agencies we had tried - seasoned, professional advice all delivered with the minimum of fuss and together with a easy to understand contract. All viewings were accompanied and followed by honest feedback. Communication is excellent. Highly recommended." "Selling your home can be so stressful but we found Eddie’s straightforward approach much more refreshing than our previous agent. The simple contract was easy to understand and contained absolutely no small print. Throughout the entire selling process Eddie our main contact. Highly recommended." "We have now used Robinson Estate Agents three times - twice for selling and once for buying and throughout every encounter we have found Eddie Robinson to be the consummate professional in respect of the transactions he was handing on our behalf. It was refreshing to deal with one professional point of contact as Eddie personally handled our calls, enquiries and communications which were dealt with promptly and efficiently. We felt that the advice we were given was professional and impartial and we appreciated that we were kept apprised of the situation as matters progressed, and (as can happen) even if there was bad news Eddie notified us immediately if matters were not progressing as envisaged. Buying and selling a property is a stressful time and Eddie's clear and transparent communication style was a real benefit to supporting us throughout the process"
"The personalised service provided by Eddie was friendly and professional throughout. The expectations set were realistic and achievable in terms of both timescale and the achievable price. Eddie proactively provided us with feedback from prospective buyers so we were always up to date with the progress being made. We are very happy with the service provided by Eddie which resulted in a smooth, efficient and timely sale of our house." "Eddie is professional and reliable. When I had to move Eddie was my first choice of estate agent as I felt he deals with matters professionally and with integrity. Eddie knows his clients and what they are looking for and keeps them in mind for whenever a house comes onto the market." "Eddie was very friendly and efficient throughout the process, so we didn't hesitate to approach him again to represent us when we came to sell the flat. Eddie is professional in his approach and as a customer you can expect a high quality and a personal level of service which is fairly unique in the estate agent industry." "We arranged a house purchase via Eddie at Robinson Estate Agents – I have had my frustrations with Estate Agents in the area and it was a refreshing change to work with Eddie, it was a very professional service. Additionally, it felt very personal – Eddie kept in regular contact after the agreement of the sale and was extremely supportive right through to completion, covering any issues and questions. I would highly recommend working with Robinson Estate Agents, if we ever decided to sell, it be the first call we would make!" "Excellent professional service and the knowledge of who is living in my house." "Buying our first home seemed a bit daunting at first, but Eddie and his team really helped us through the process and kept things nice and straightforward. What we like most is that Eddie has a good knowledge of the area and spends the time to understand the needs of both the buyers and sellers which helped the process run smoothly." "We have had the pleasure of both buying and selling through Robinson Estate Agents and would not hesitate to use them again. Service was honest, fast and efficient with a personal touch. We achieved the price that we hoped for and sold much quicker than we ever thought we would. We will certainly be using them for our next move and would highly recommend them to anyone." "Robinsons are by far the best estate agents we have ever dealt with. We have both bought and sold through them and on both occasions the service we received was superb. We particularly valued the personal attention given; as buyers, Eddie genuinely listened to our requirements and only showed us properties that were real contenders. As sellers, we knew he would deal with everything fairly and honestly and we valued his advice through the process. I would recommend Robinsons to anyone"
"Dealing with Melanie at Robinson is a pleasure; she is very knowledgeable, provides excellent advice and handles all situations with professional aplomb. The ethos of Robinson is customer friendly and I would recommend their sales or letting service to any of my friends"
"Eddie and his team assisted us on the purchase of a property, we were so impressed from a buyer’s perspective; we used him when we sold our house. Eddie has excellent knowledge of the Maidenhead area, is quick to deal with queries and find solutions, whether it’s a question regarding a property or potential costs of an extension. He displayed integrity in all our dealings with him. I would highly recommend his service as he is genuinely interested in finding you the right home." "Eddie has assisted us in buying two and selling one property and will be our first port of call in the future. His professional but extremely personal service is exceptional and he went beyond the call and hours of duty for us, something we didn't see from any agent on the high street. He took the time to know and understand us and only showed us properties he knew we would be interested in." "Eddie and the gang at Robinson’s helped us, as first time buyers, to understand every inch of the house-buying process and we couldn’t have asked for a more attentive, professional or friendly service. We were constantly kept in the loop and as a result have a lovely house to show for it - and in under three months! We wouldn’t hesitate to use Robinson’s again - IF we ever move"
"I have been using Robinson for almost four years to let our property and am totally satisfied with the services provided. They handle everything. I receive monthly statements,regular inspection reports and troubleshooting and repairs are carried out as and when required. The service is professional, personal, friendly and very efficient and I am consulted only when necessary"
"After the sale of my house I needed to rent a property and I was really pleased with the service provided by Robinsons, both in the search for the right property and dealings after this as a tenant. I felt supported in finding the right property for me, and Mel was very professional and brought a personal touch which is what Robinsons do so well. I rarely had any issues and anything I did need help with was dealt with quickly and professionally"
"We moved out from London to Maidenhead in 2014 and bought a house through Robinson Estate Agents. Eddie and the team worked hard with a challenging chain of sellers and an immovable deadline (birth of our first child!). 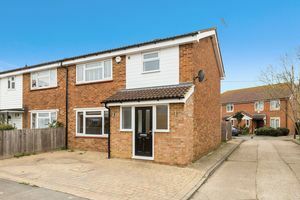 Despite a few heart-stopping moments along the way we made it into the property before “D-Day” and the three of us are very happy in our new home"
"Appointing Robinsons as sole agents handling the sale of my home proved to be an excellent decision. In so doing I secured the personal services of a company director who was always contactable & personally handled all viewings & contacts. 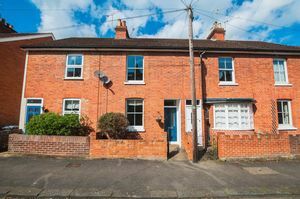 Robinsons have an intimate knowledge of the Berkshire area and the lack of a High Street shop window did not detract from creating good interest with a regular flow of genuine potential buyers. Robinson's philosophy of quality rather than quantity is at the core of their customer relations and I would have no hesitation in using them in the future." "From our first meeting, to the successful sale of our property, Eddie was consistently thorough and pragmatic in his approach. Having dealt with other agents in the region, it was refreshing to work with an agency in Robinson Estates Agents, where you felt that they were actively working towards the sale of you property, and not just relying on internet footfall. Highly recommended." "This is my first experience of letting a house and I have been very impressed with how Robinson have managed my affairs. I am frequently out of the country and therefore required full management. The whole process of letting and managing my house has been very smooth and easy, I have never met my tenants. I would and indeed have, recommended Robinson to friends"
"Eddie's integrity and 'can do' attitude was reassuring and helped to make the process quick and straightforward. We would definitely use him again and would recommend him to others - to both buyers and sellers." "We highly recommend Eddie Robinson. He can be relied upon for sound, honest advice and we felt he worked hard to get the right viewers through the door. He also was committed throughout the sale process with a hands-on approach to get us to completion. We wouldn't hesitate to use Robinson's again." "It was with some trepidation that we decided to move after 20 years in the same house, but, after securing the services of Robinson Estate Agents we knew we had made the right choice. In less than 6 weeks Eddie achieved a completed sale with no complications. We were absolutely delighted with the professional manner in which our sale was progressed, from the marketing, to viewings and feedback. We highly recommend their services." "Eddie was excellent. He gave a personal, professional service and I would not hesitate in recommending him to anyone else. His knowledge, marketing and communication skills were all first class. A huge contrast with bigger firms, which often view you as just a number"